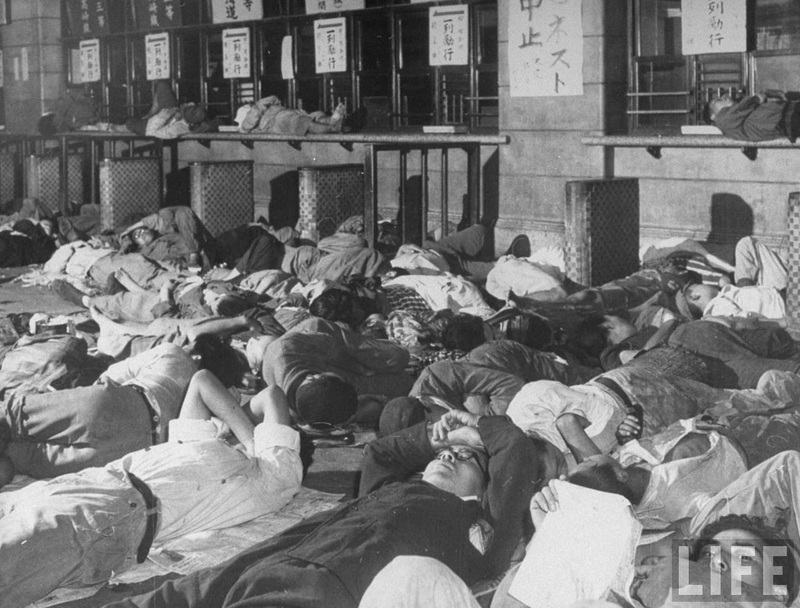 Homeless people sleeping on floor at Ueno railroad station. 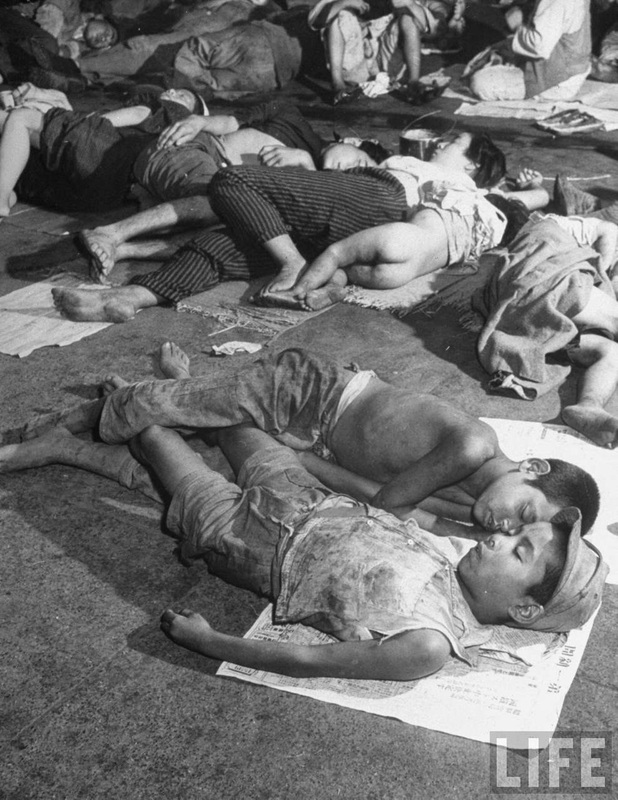 Homeless people resting in sleeping quarters of poor house. 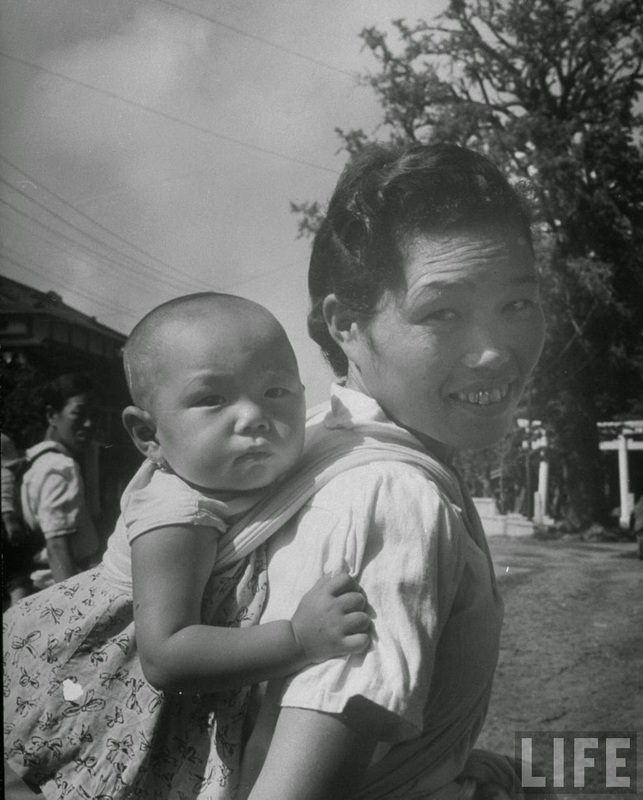 Japanese woman awaiting weekly food ration. 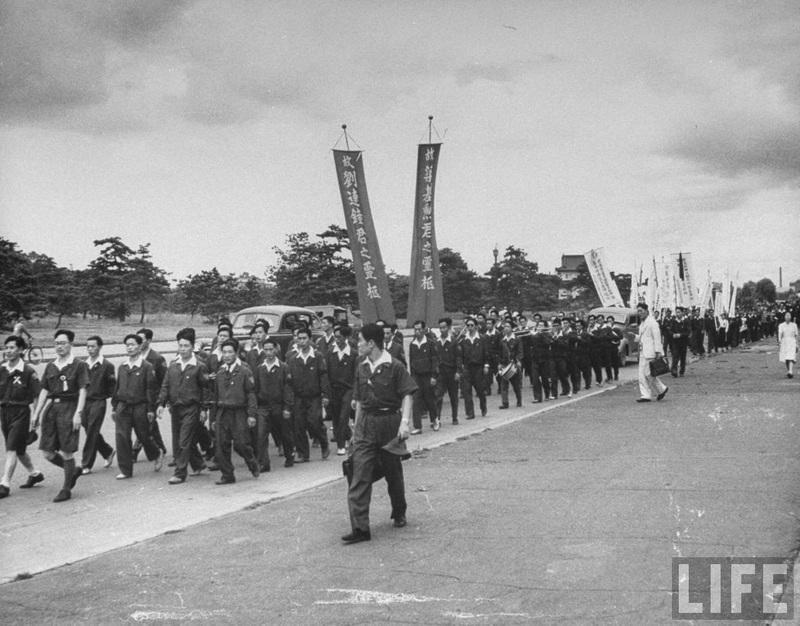 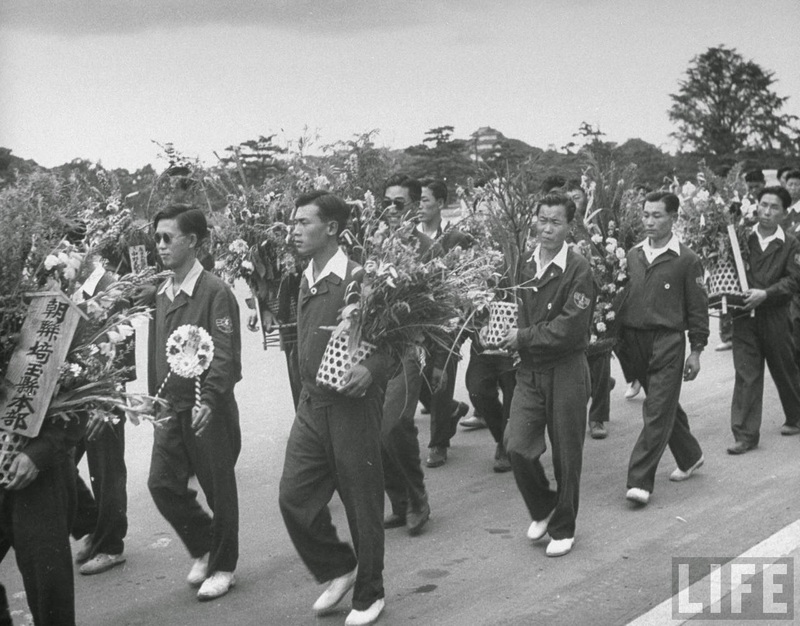 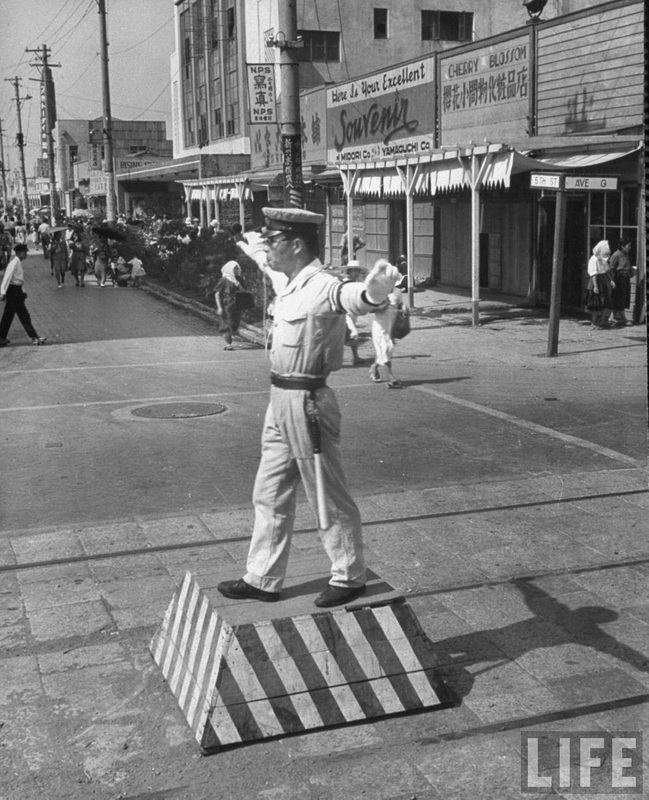 Japanese police officer directing traffic. 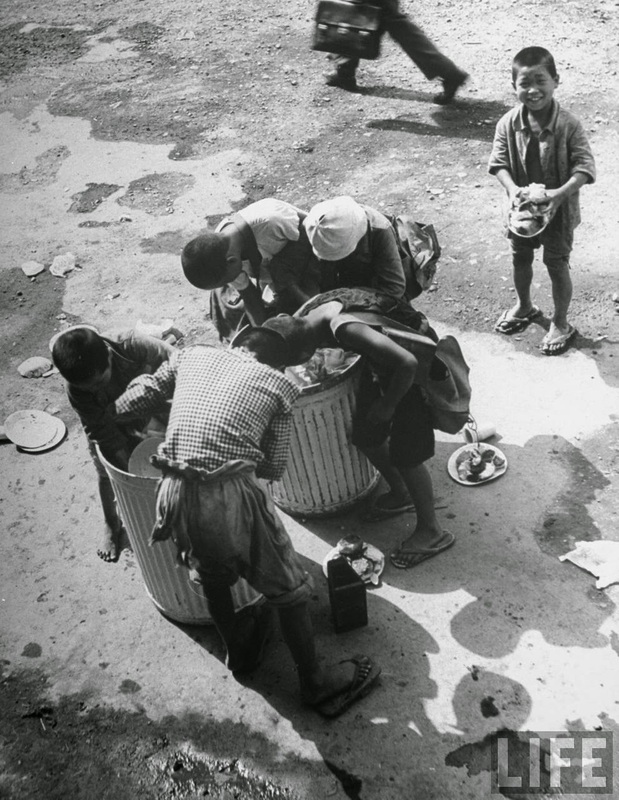 War orphans looking through garbage cans for food. 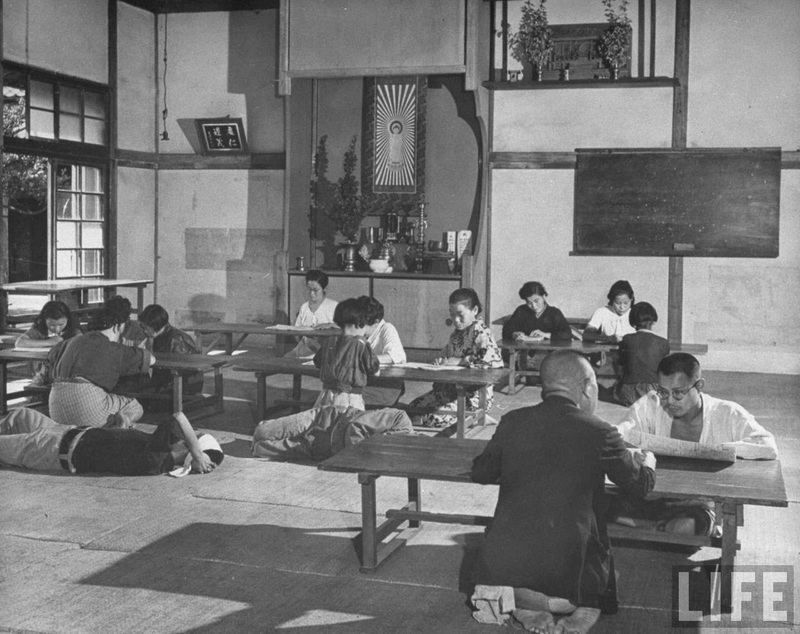 People sitting in reading room at poor house. 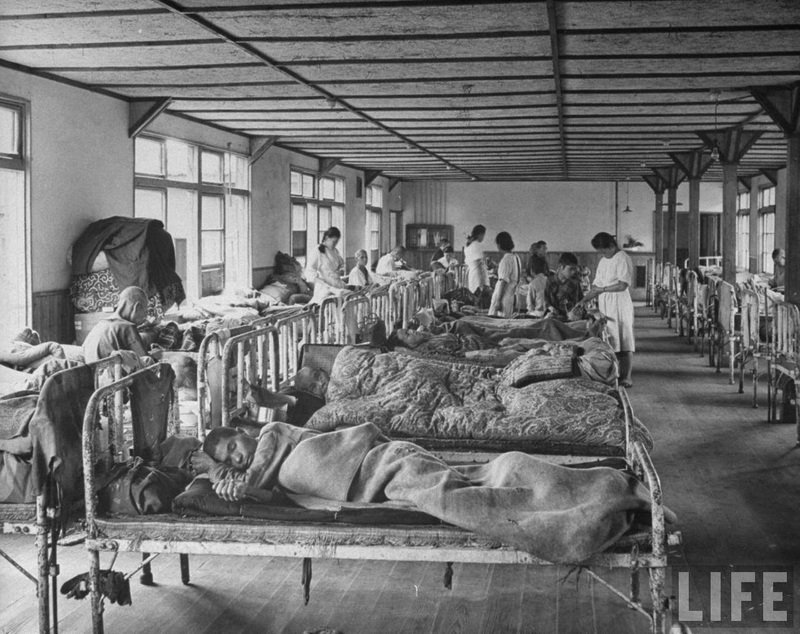 Homeless people resting in hospital ward at poor house. 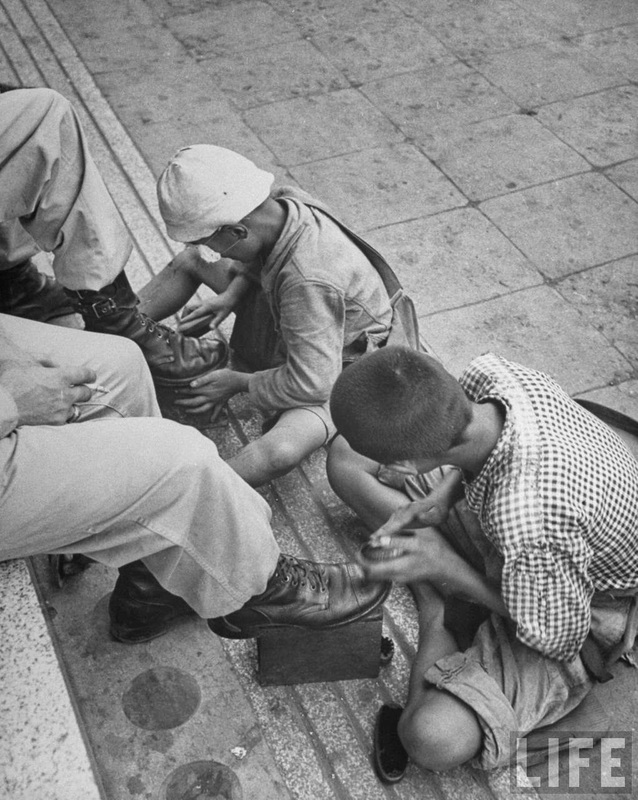 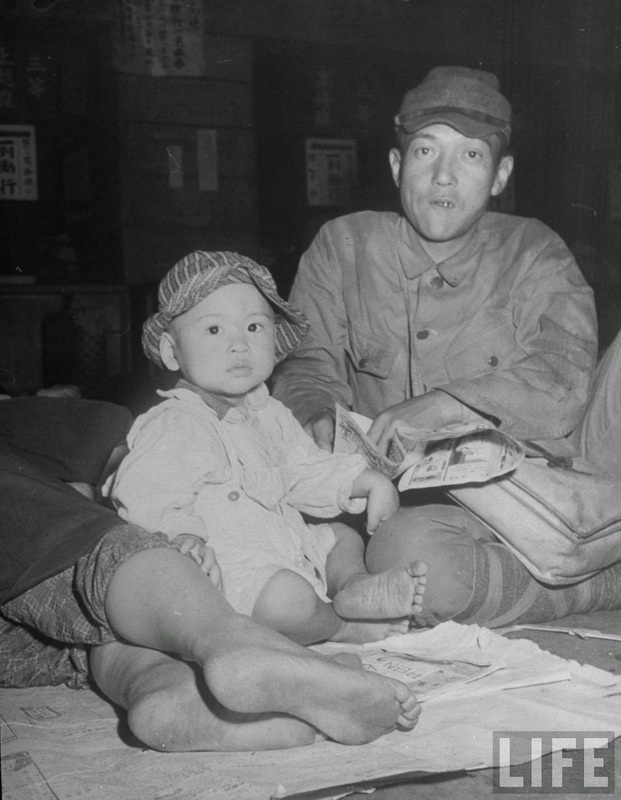 Homeless family sitting on floor of Ueno railroad station. 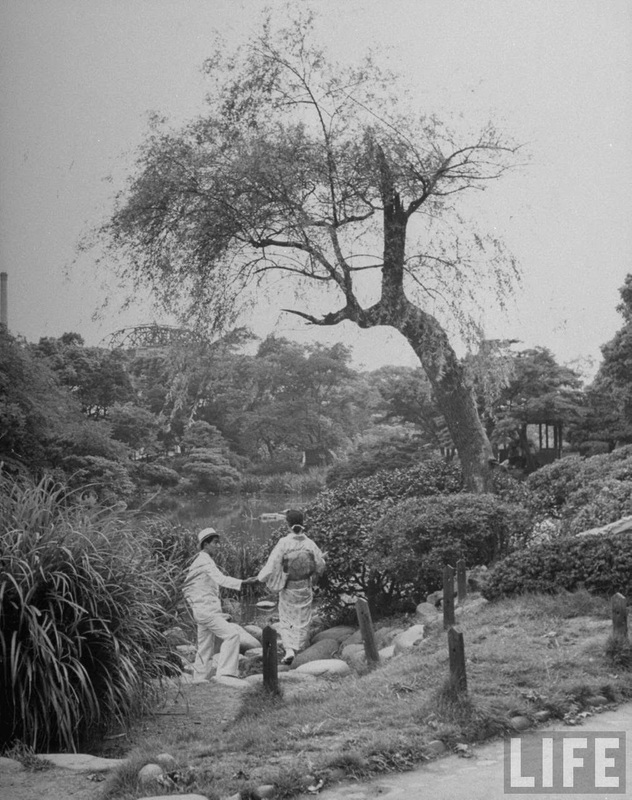 Japanese man and wife strolling through Hibiya Park. 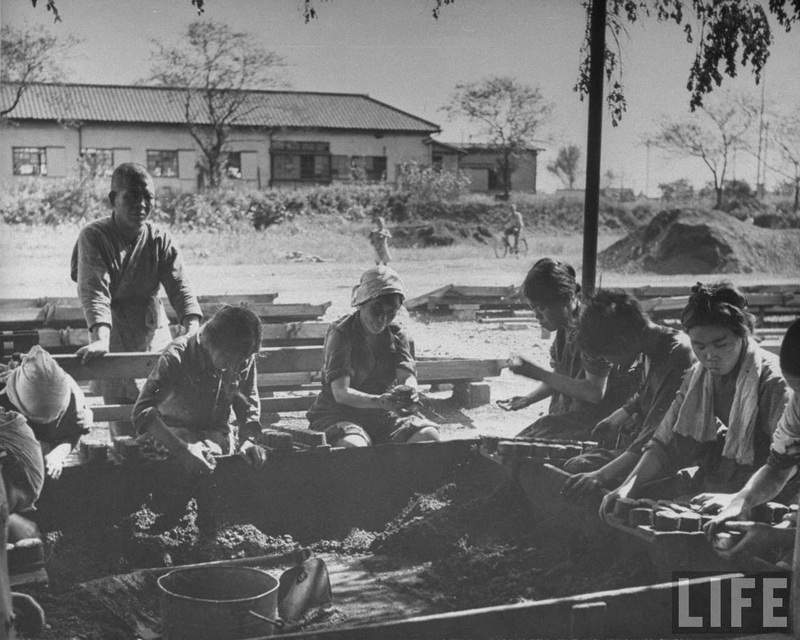 War victims at poor house fashioning charcoal blocks. 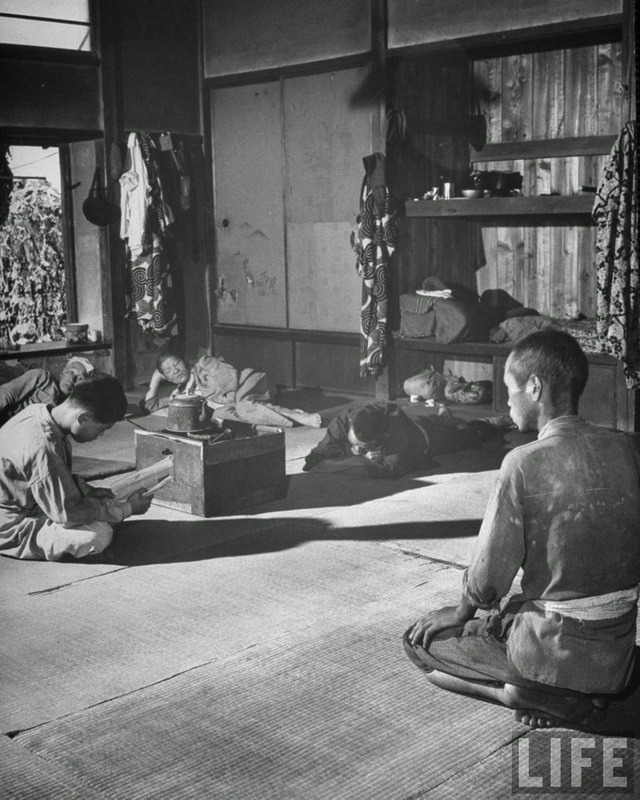 Koreans putting on funeral parade. 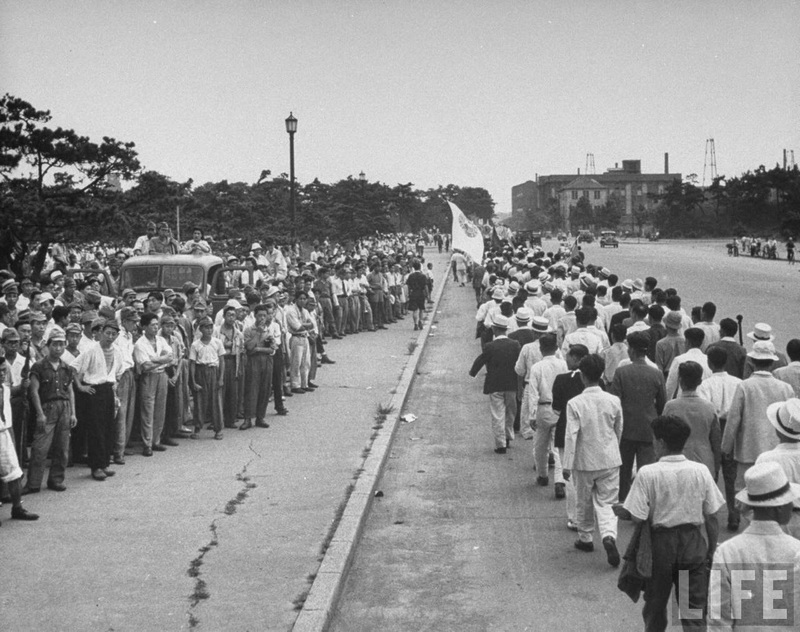 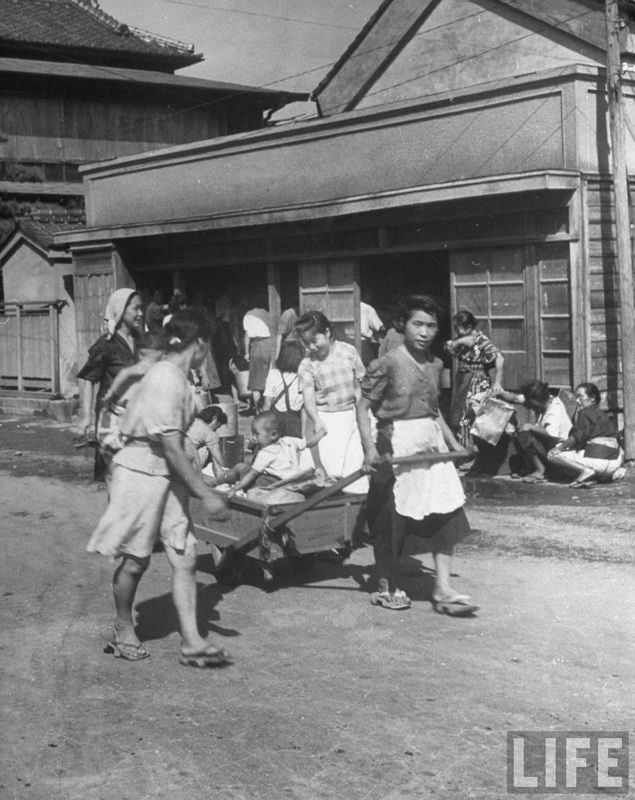 Japanese families awaiting weekly food rations in front of food distribution agency. 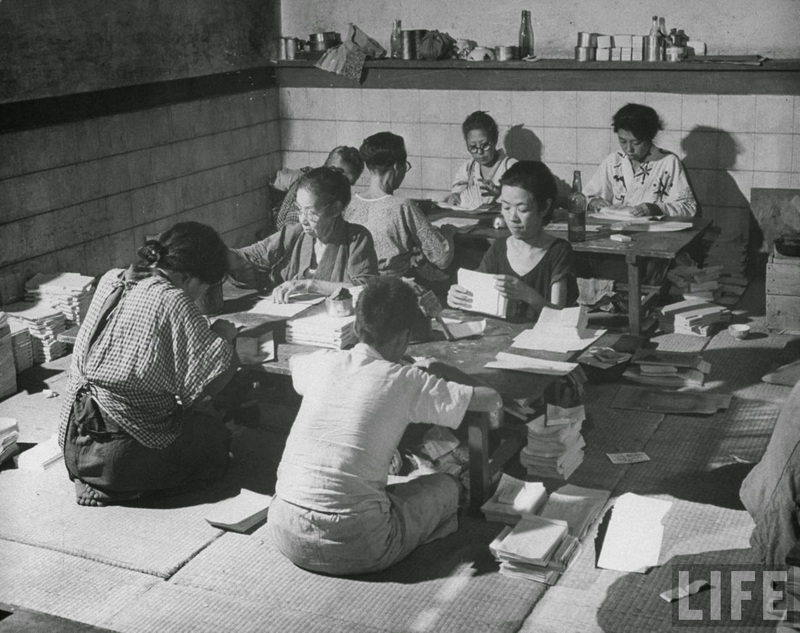 People making envelopes in poor house. 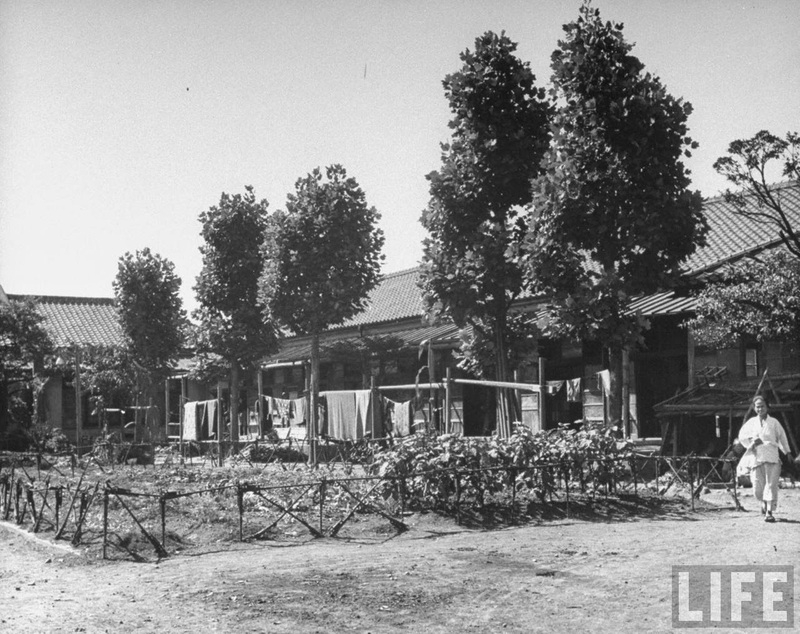 Exterior of Tokyo City Poor House. 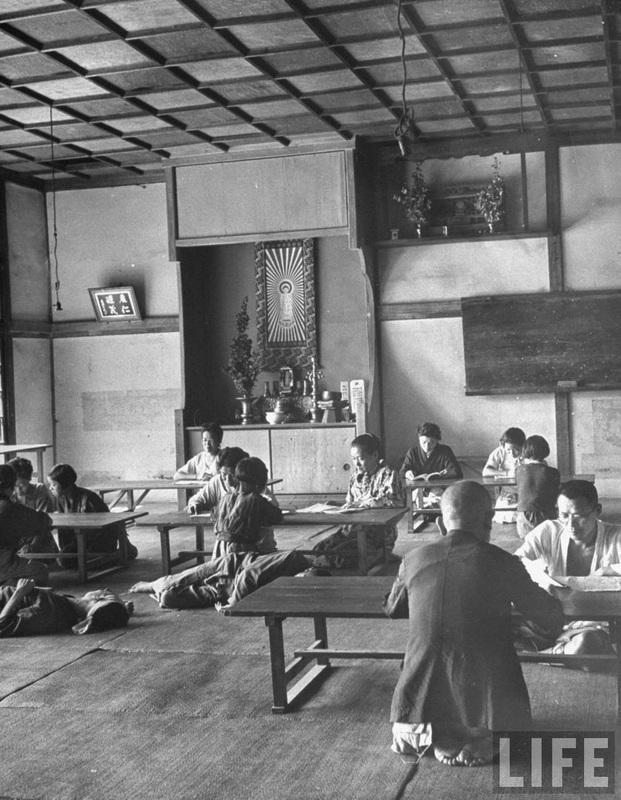 Homeless people sitting in reading room of poor house.